Phew, after a year of hard work I’m pleased to announce that we’re just about ready to release Undermine in Early Access! 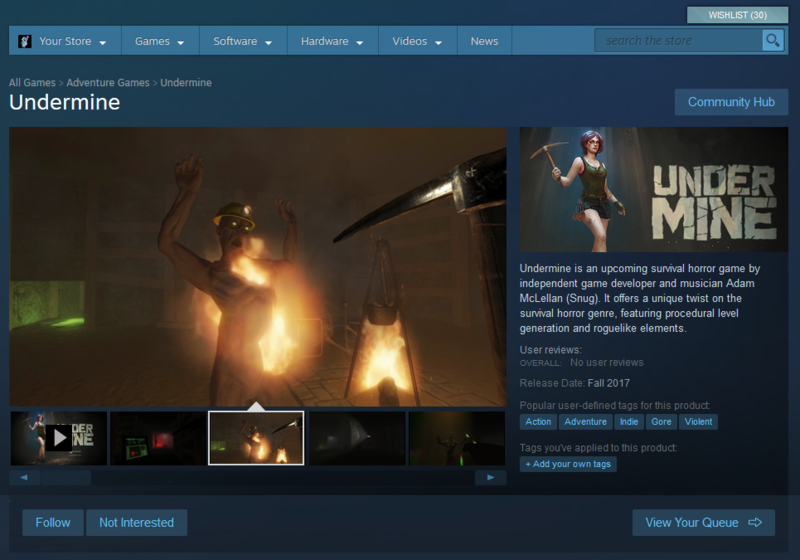 The Steam store page is live now, give it a wishlist and/or follow if you are so inclined. We’ll be sending out preview keys a couple weeks in advance of the Steam launch; if you’re interested please drop me a line.